Picture the peace of mind and assurance you’ll feel when your loved one is receiving the highest standards of care in a warm and loving environment. 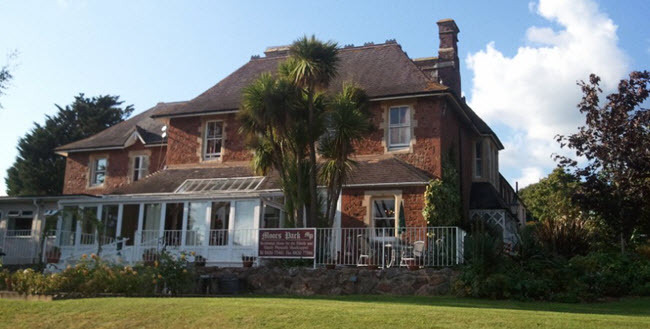 Nestled in the beautiful valley of the river Teign, Moors Park House Care Home is the perfect place to make your home in your later years. Whether you are looking for care for someone who is living with dementia or general residential care for an elderly loved one, you’ll find a warm welcome at Moors Park House care home. For more information about what Moors Park House can offer you please click on the link below for the type of care you are interested in. As well as being one of the top private care homes in the region, Moors Park has also been instrumental in pioneering new ways of improving elderly care in Devon. We have partnered with the local health authorities and doctors in a trial scheme to provide an in-house GP surgery at the home. For one day each week the doctors surgery is held at the home and residents are free to visit anytime without an appointment. This is much more convenient for our residents and has produced some startling results. The scheme has dramatically reduced the number of emergency calls needed and enabled a much closer doctor/patient relationship that has resulted in increased preventative care and overall well-being. The scheme has been so successful that consideration is currently being given to rolling it out across the region. Copyright Crocus Care Ltd© 2019. All Rights Reserved.